Last time I posted about the afternoon hike on New Year’s Day to see The Horns. 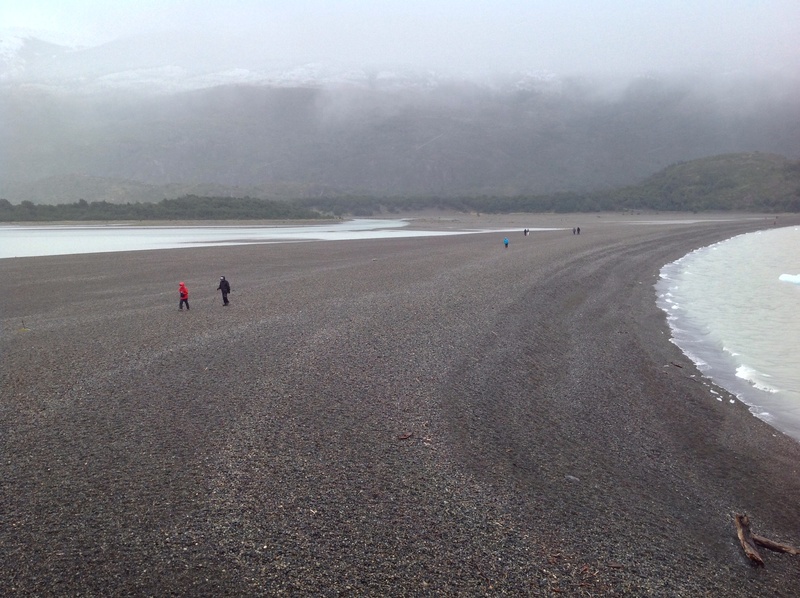 Earlier that day, we spent the morning walking to see the Lago Gray Glacier. After crossing a bridge, I welcomed the cool, misty feeling of the forest, and the intensity of the green. It felt rejuvenating after a long day and a long night. The day before, one of the bus wheels had blown out on our way to the Chilean border. Pieces of shredded tire were everywhere. A small square of metal had fallen from somewhere inside the bus and punctured one of the rear tires. Luckily they were a pair. In addition to blowing out the tire, something else was damaged. I don’t remember all the details, but it was fixed with the plastic tubing of a Bic pen! But at this moment, it no longer mattered as we descended from the forest onto a wide expanse of stones with gusts of winds bringing us a taste of the glacier, cold and frosty. The long, rocky traverse to reach the climb up to the glacier viewpoint. Along the way small touches of color and wild flowers peeped out reminding me that it was summer. 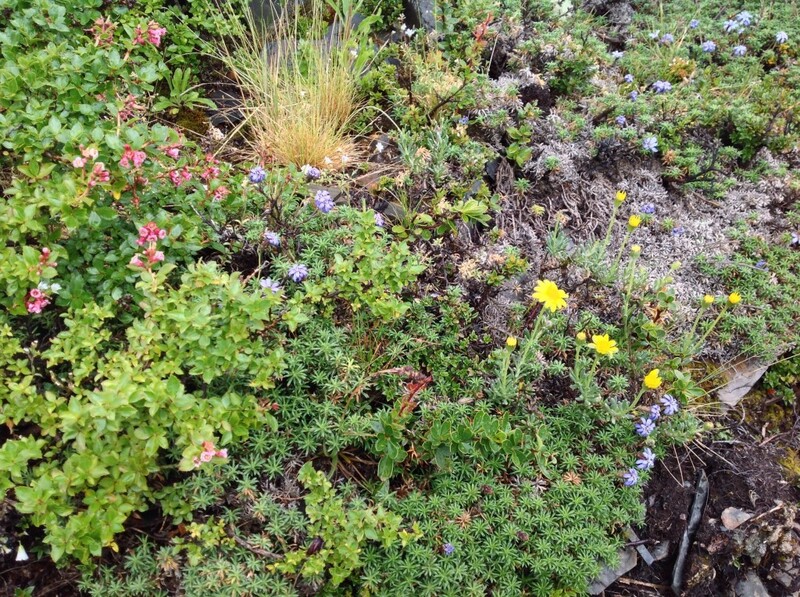 Small, sunny patches of wild flowers to warm me up along the way. We hiked up a small incline to get a view of the glacier far off in the distance. Ice cubes of bluish, glacial ice bobbed in the water, like a strange Patagonian cocktail. This past winter has been long and cold; I feel too chilly to show a picture of the glacier. Brrrr. And then we went back the same way we came. The descent with the sunny patches of flowers, the expanse of smoothed stones, a verdant forest and the bridge…maximum 6 people! El Puente: Maximo 6 personas! 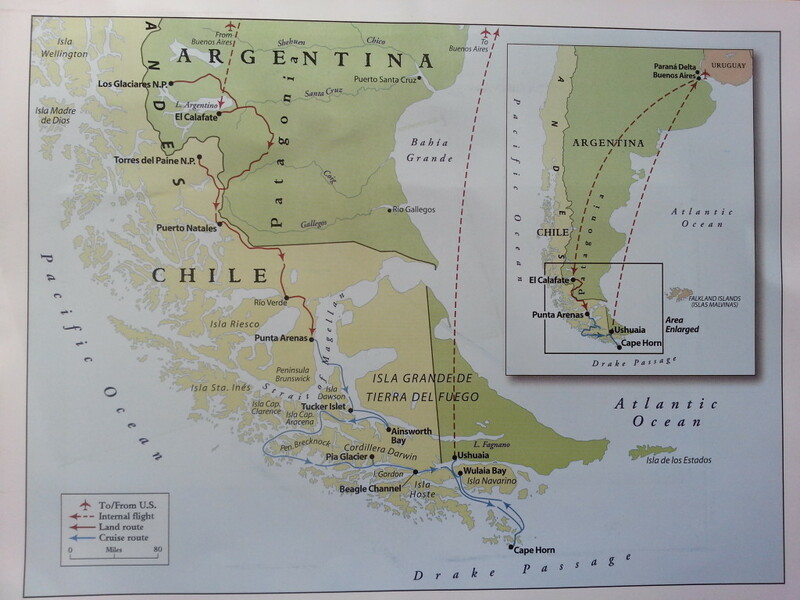 Map of the route we took through Patagonia. Lines in red denote land travel, while those in blue are for the cruise. 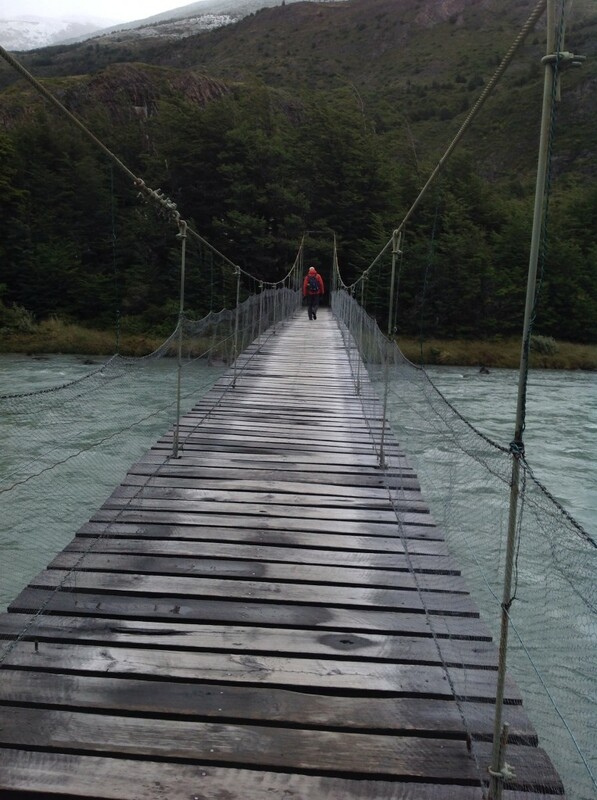 After that we drove through Puerto Natales and stopped off at a ranch where we ate a freshly barbequed lamb. A day later we arrived in Puenta Arenas on the Magellan Straight to board the cruise. 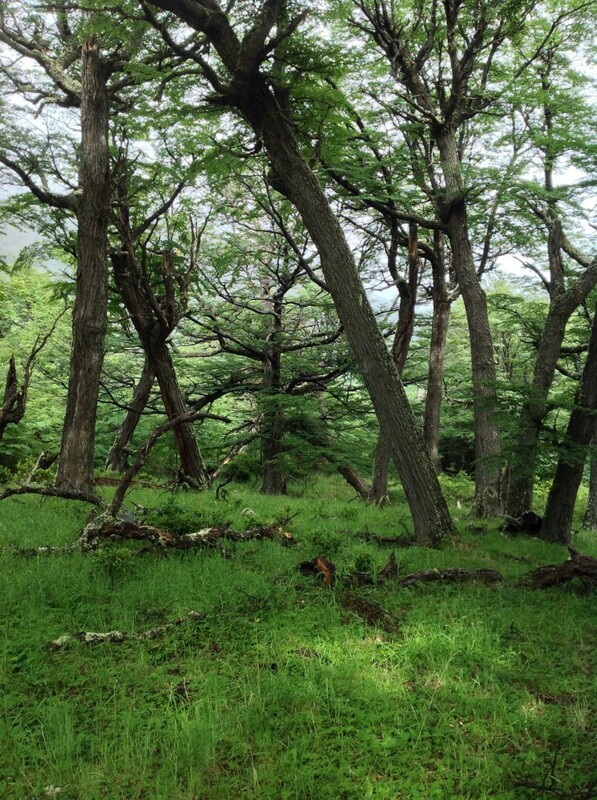 Stay tuned for Tierra del Fuego Island and los pinguinos! Thanks for sharing and including the map. Looking forward to the penguins.